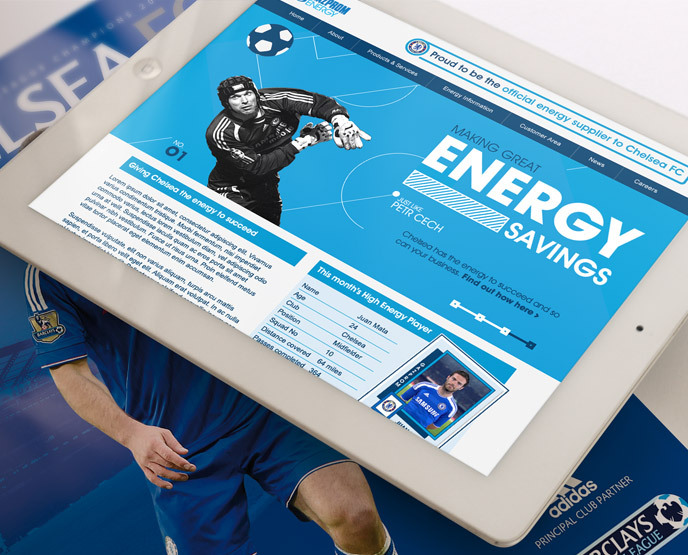 I designed this micro-site to help promote the client's partnership with Chelsea FC. This was a particularly enjoyable project for me, given my love of football. My only grievance was that it wasn't for my beloved Manchester United! Several landing page banners were designed featuring some of the club's star players. Player stats are displayed for the team's player of the month. Energy ratings are used to reinforce the client's position as official energy supplier. A promotional banner and button was also designed for the main website's home page. Official brand colours and fonts were implemented throughout the designs.